Butternut Box is a different dog food. 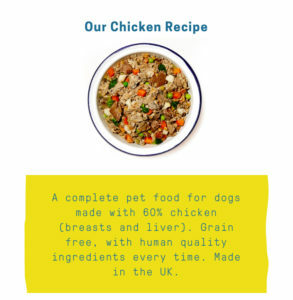 Working alongside vet nutritionists, we created four different meals that contain just the right mix of top-notch ingredients. Our mission’s far from over, but we’re making great progress. Fussy eaters are gobbling down meals and dogs with regularly upset stomachs are showing, shall we say, a solid improvement. 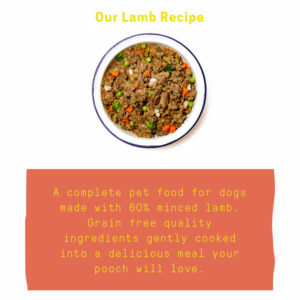 The food is tailored to your dog around their nutritional needs so its right for them regardless of size, breed or sensitive issues that they may have. Contact Butternut Box here. By the way, customer service is superb!